Debby Linares, during her presentation at NDI, with fellow human rights activist, Fernando Us Alvarez. In the first week of December 2017, I had the chance to meet Debby Linares, a transgender woman and human rights activist from Guatemala, who soon became an inspiration to me on a personal level. 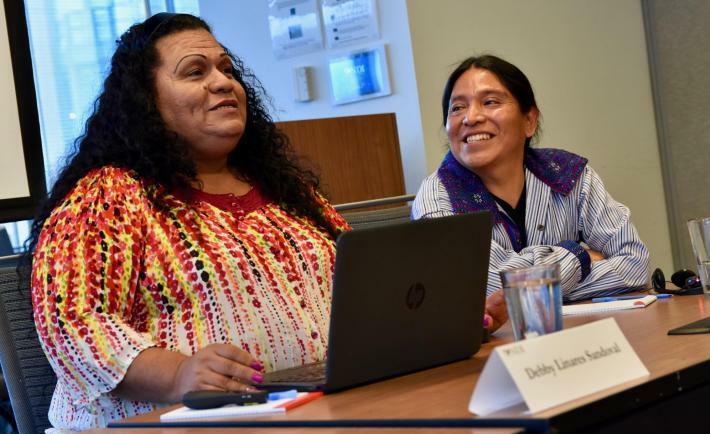 Debby, who has been a human rights activist for the past 16 years, advocates for Lesbian, Gay, Bisexual, Transgender and Intersex (LGBTI) rights at the municipal and state level in Guatemala. 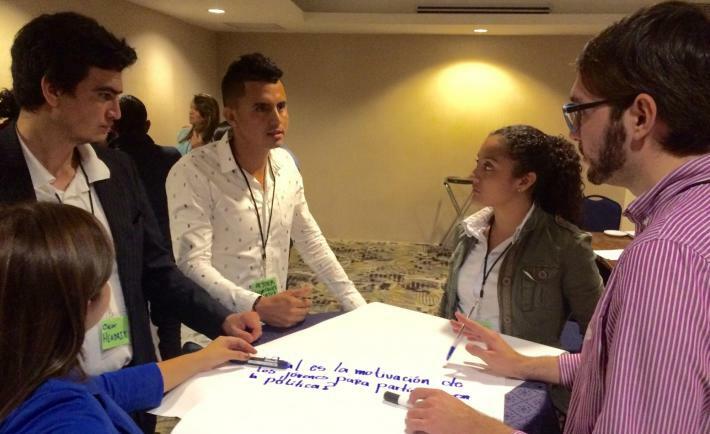 Twelve young Latin American political leaders and activists recently gathered in Guatemala for an NDI-led workshop on youth political participation. Conversations ranged from what motivates youth to get involved in politics, to how sociocultural norms about youth affect their work, and what tactics youth have used to elevate their political voices in their home countries of El Salvador, Colombia, Guatemala, Honduras, Nicaragua and Mexico. 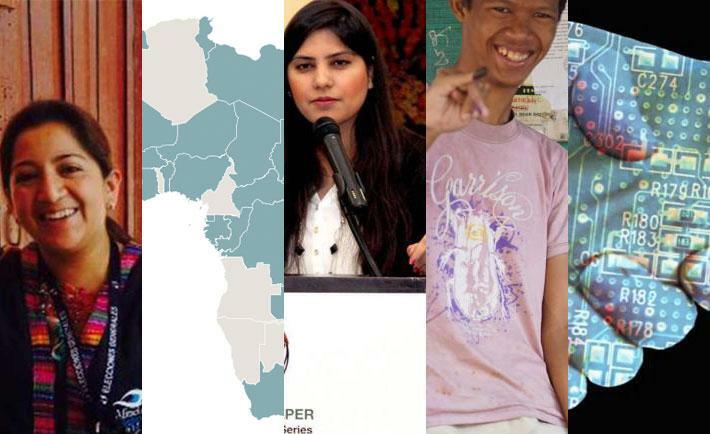 Amidst widespread myths about youth political apathy, these diverse young activists represent a generation that is motivated to build more inclusive, democratic societies. In the past year, the DemWorks blog has become an established platform for sharing ideas on democratic development around the world. Since the DemWorks blog launched in February 2015, we have published over 159 posts and reached 108,000 users in 198 countries around the world. Here’s the list of the most-read blog posts and series from 2016. In late October, I joined a staff delegation of the House Democracy Partnership (HDP) in its assessment mission to explore a potential partnership between the U.S. Congress and the Congress of Guatemala, a unicameral body made up of 158 deputies elected for four-year terms. Having spent a good deal of time working to end the Central American wars in the 1980s as a congressional staffer in the U.S. House of Representatives, it was my first trip to the region in nearly three decades. I returned to the U.S. hopeful and cautiously optimistic that Guatemala may be turning a corner in its democratic development while still working to overcome the legacy of the brutal civil war that resulted in hundreds of thousands of victims from 1960-1996. 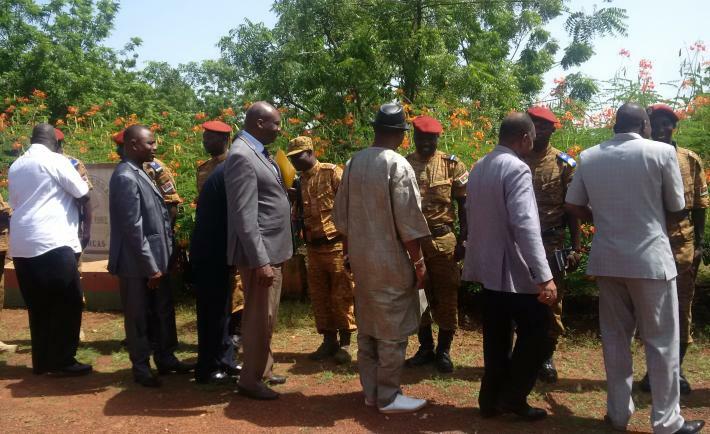 Members of the Defense and Security Commission of Burkina Faso's National Assembly meet members of the armed forces during an informational visit to a military base in Kaya. Violence and crime pose serious threats to citizen security. 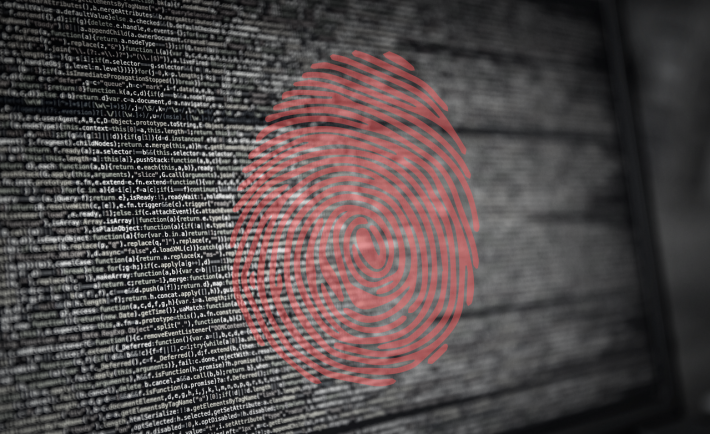 A lack of response to these threats from authorities erodes public trust in government institutions and weakens prospects for stable democracy. Maintaining the peace and ensuring the security of citizens is necessary for a democracy to develop and endure. Likewise, democratic institutions, such as parliaments, media and civil society, help guarantee a focus on citizen interest and public good, especially related to civilian oversight of the security sector. 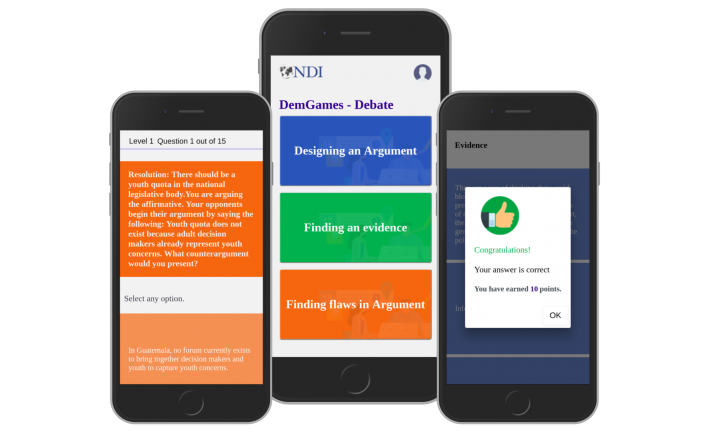 Threats to citizen security are particularly notable in West Africa’s Sahel region and Central America’s Northern Triangle, areas where NDI works to bridge the gap between citizens’ security needs and the state’s ability to meet them. 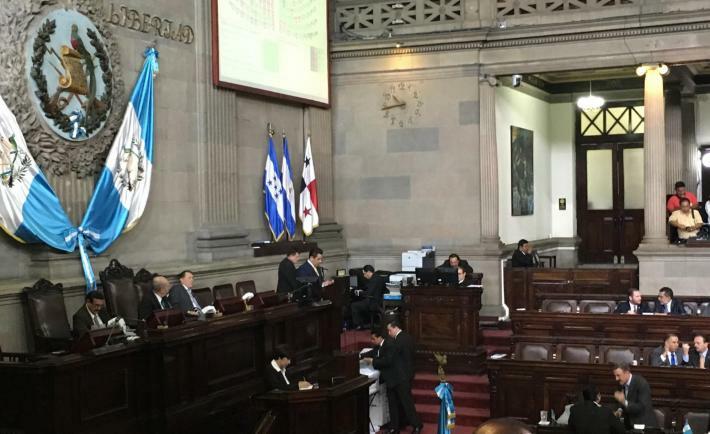 From Election Observation to Government Oversight: What’s Next for Guatemala? 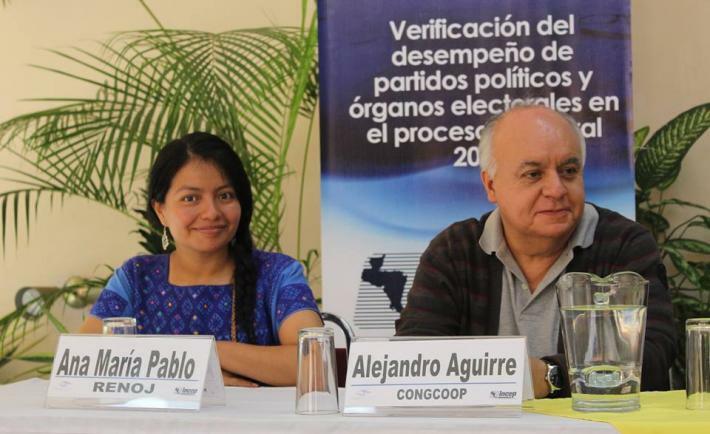 As this blog series has highlighted, the 2015 Guatemalan elections were unique in many regards. Citizen protests resulted in the resignation and arrest of the president and vice president on corruption charges. Voter turnout was the highest since the return to democracy in Guatemala. The presumptive winner, the runner-up in elections four years earlier who was leading in the polls, failed to make it to the second round. And electoral violence was lower than expected and lower than during recent electoral processes. The question then becomes, what’s next for Guatemala? Anixh Ana María Pablo Tercero prepares to present election observation results at a press conference. Large numbers of Guatemalan citizens are excluded from political life. 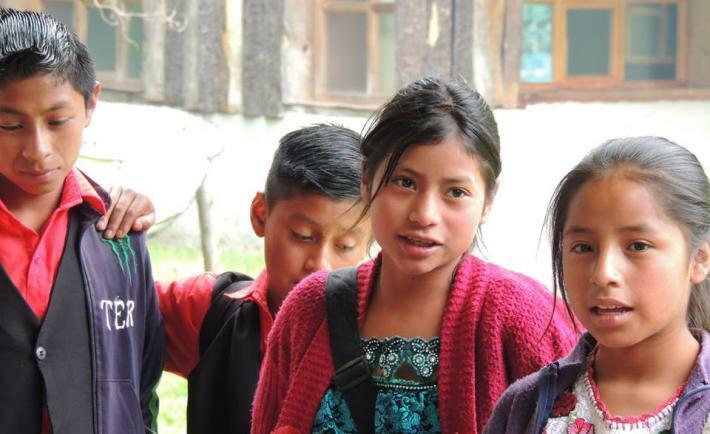 Indigenous communities are among the most marginalized, as they face both institutional and cultural barriers in the country’s political system. 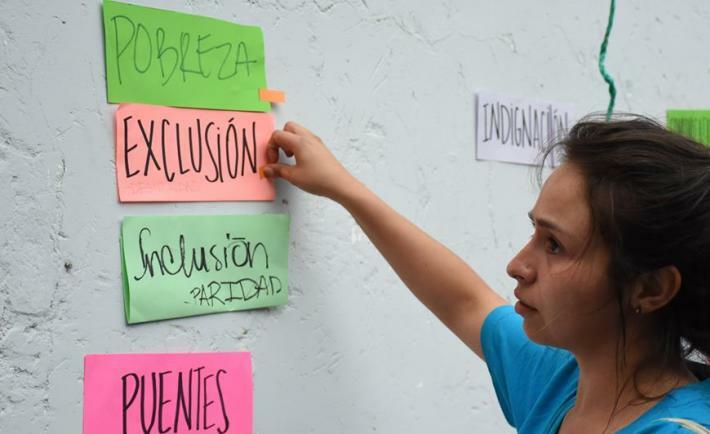 Since the 2006 electoral reforms and during the subsequent three elections, Guatemala has seen important steps forward in terms of increased political participation; however, challenges remain in translating participation into meaningful representation. 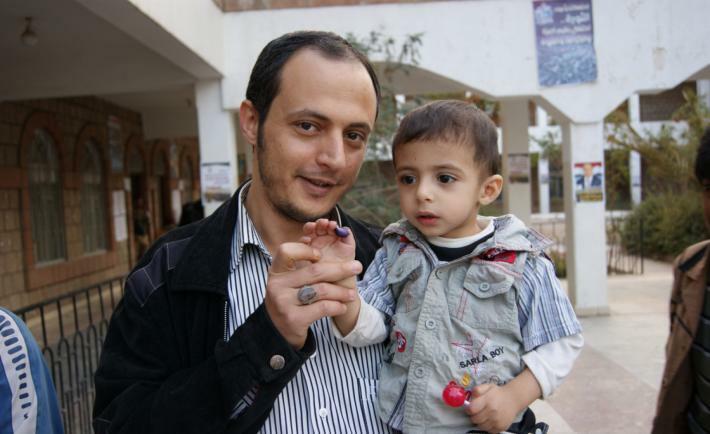 Equal participation of citizens in politics is essential for strengthening democracy. Citizen participation must be inclusive, representative and intercultural. One of the foundations of democracy is respect for human rights, which includes recognition of individual and collective rights of indigenous peoples. And one of these collective rights lies precisely in the use of indigenous languages. This is especially true in Guatemala, where indigenous peoples represent a large and diverse, but frequently marginalized, population. 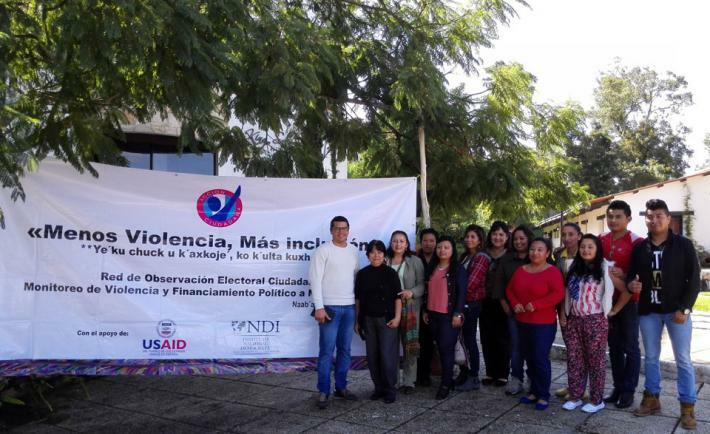 Louis Enrique Borrayo Hernandez is a young Guatemalan man who learned about the election observation through Association Ixim, the local organization that supported Citizen Action’s (AC) observation in the department of Sacatepéquez, just outside of Guatemala’s capital. We recently spoke with Louis, as well as his colleague Theylor (who preferred that we not use his full name), about why they decided to join the AC network as long-term observers. Their answer was clear: “we wanted to make a difference in our community and our country,” they both agreed.